Everyone, thank you for attending the SQL PASS Virtualization Virtual Chapter presentation entitled “SQL Server High Availability Options After Virtualization” that I gave today. I do apologize for the screen resolution issues. I think it was an issue with GoToWebinar and the 1080p resolution on my computer, and will get this resolved ASAP! The slides from today’s session are available to download here, and soon the Virtualization Virtual Chapter should have the webinar recording available to view soon! Thank you all for your great attendance! 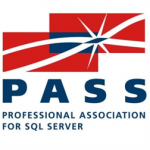 I look forward to presenting more sessions for the SQL PASS virtual chapters. Up next for me is the SQL Saturday in Kansas City this weekend. I will see you there!